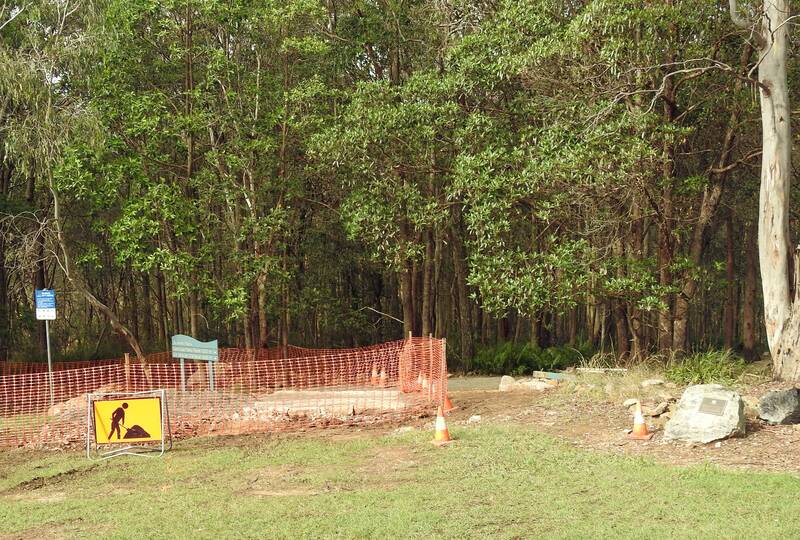 Council contractors have started redevelopment of the entry to the Summit Track. The objective is to change the signage and entry to make the track more inviting to visitors. The recycled porphyry street guttering is being used for steps will create a very attractive entry to tempt picnickers into the forest. Once work is finished a new interpretative sign will be installed at the site. The natural amphitheater created by the slope of the picnic grounds is a popular speed dating site for butterflies. I photographed a beautiful Dainty Swallowtail Papilio anactus flying around this morning. 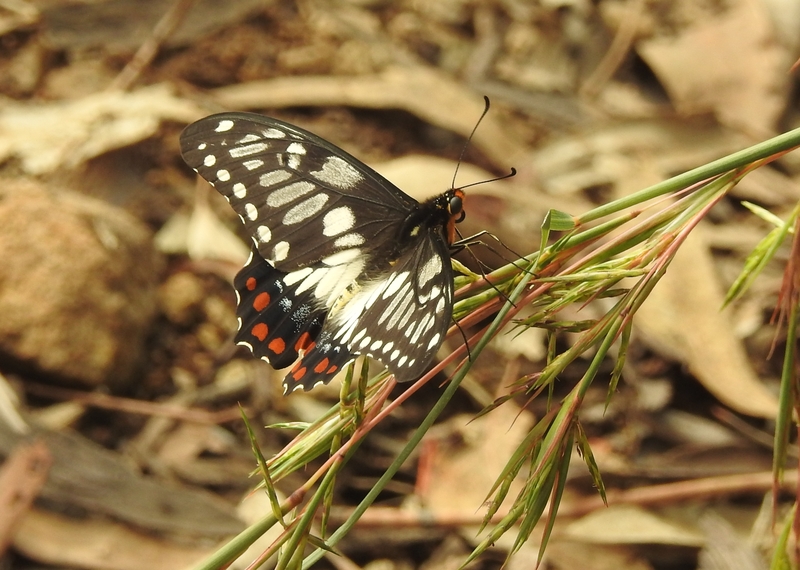 The butterfly has landed on native Barbed Wire Grass Cymbopogon refractus. 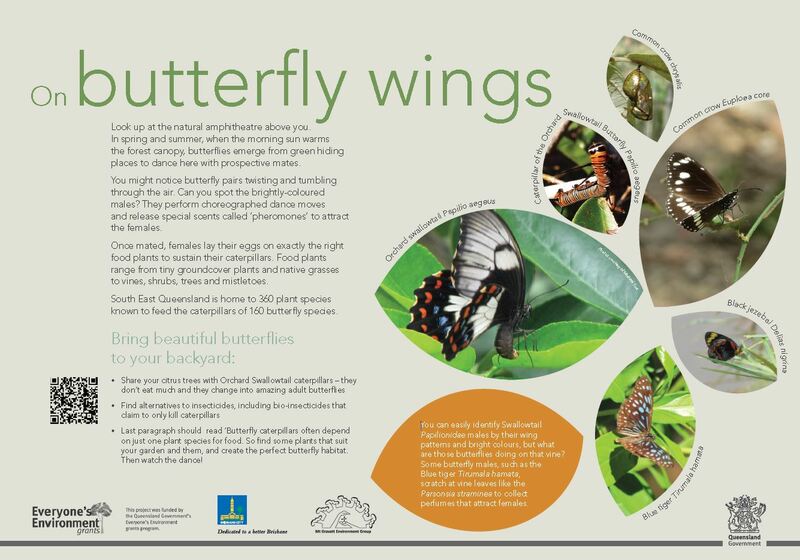 Find out about butterflies found in Mt Gravatt Conservation Reserve.